The first 2:45 are just explain what’s happened in the game’s story until you return to Zora’s Domain to find it frozen over so skip the that part if you want to go right to the theory. It makes sense that the developers would have some aspect unresolved that they would wait to conclude in future instalments so this is probably going to be the first theory video where I can see it being true. 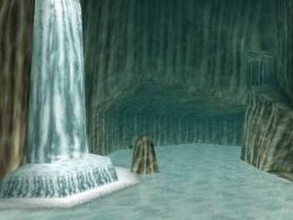 Ura Zelda did end up coming to light as the Ocarina of Time: Master Quest but without the cut content though they’ve probably already used the content in other games anyway. What do you think? Could this be the reason the ice doesn’t melt? What other reasons could there be? Let us know in the comments below.